THE HAGUE–A large number of European countries including the Kingdom of Netherlands, officially recognised opposition leader Juan Guaidó as interim president of Venezuela on Monday. This move also applies to the Dutch Caribbean territories neighbouring the troubled South American nation, namely the so-called ABC islands (Aruba, Bonaire, Curaçao). 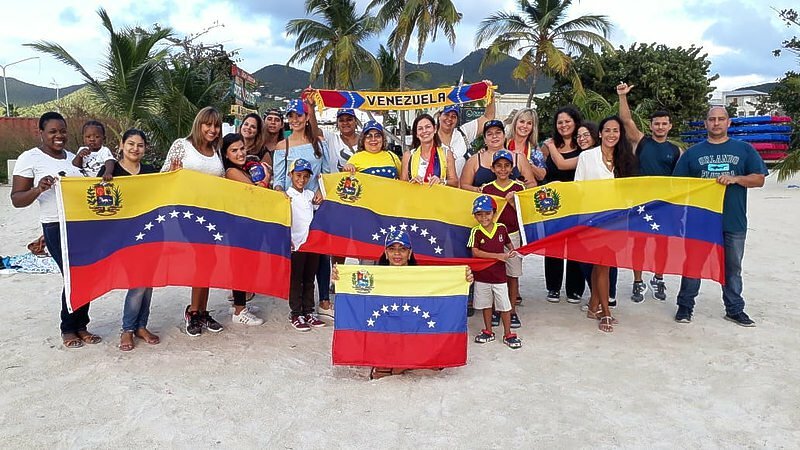 It came after the expiration of an ultimatum, as the European Union (EU) had imposed a deadline for the calling of new elections by incumbent President Nicolas Maduro. The Netherlands, the United Kingdom, Spain, Germany and France, among others, recognised Guaidó in an official statement on Monday morning. Sweden, Austria and Denmark also support the Parliament chairman. Dit bericht werd geplaatst in _Saba & Statia, _Sint Maarten, _Venezuela, SXM-Daily Herald. Bookmark de permalink .